California trucking accidents caused by sleep deprivation of truck drivers in California and throughout the U.S. continue to be a real problem. Despite recent federal regulations mandating additional rules related to rest periods for commercial truckers, many big rig crashes are attributable, in whole or in part, to drowsy truck drivers. In fact, according to the National Transportation Safety Board, sleep deprivation may be a contributing factor in between 30 and 40 percent of all semi truck crash cases. Attempting to operate an motor vehicle by a tired driver is dangerous. The National Highway Traffic Safety Administration (NHTSA) estimates that over 100,000 traffic collisions each year are caused by sleep deprived motor vehicle operators and that sleep deprivation causes upwards of 1,500 fatal accidents each year in the U.S. Similar to being under the influence of alcohol or drugs, sleep deprivation inhibits a driver’s ability to perceive and react to the road and leads to driving errors. Based upon numerous expert studies and analysis, reduced alertness caused by driver fatigue can be most often correlated to late night and early morning driving, which is engaged in by commercial truckers much more than other types of drivers. In fact, many studies have concluded that episodes of drowsy driving are up to 8 times more likely between the hours of midnight and 6 a.m. than during any other time in a 24 hour period. The natural circadian rhythm of the human body drives down alertness in these late night and early morning hours. During this 14 hour shift, the trucker is not allowed to operate their big rig for more than 11 hours. While these new regulations do seem to be having an effect on reducing trucking accidents on our California and U.S. highways, trucking is still and will remain a 24 hour a day, 7 day a week business. While restrictions can be made on total number of hours driven vs. rest time, there will still be hundreds of truckers operating semis on the freeways and highways of the Golden State during late night and early morning hours. Therefore, commercial truck accidents caused partially or wholly by trucker fatigue will never be completely eliminated. It is never easy to prove that a traffic collision between a tractor trailer and another car, truck or passenger vehicle was caused by a sleepy truck driver. Drivers rarely admit that they were fatigued prior to the crash. Likewise, due to the adrenaline rush following such a calamity, it isn’t easy for investigating officers from the California Highway Patrol of other agencies to detect that a driver was sleepy prior to the crash. The role of a quality CA trucking accident claims lawyer is to get to the hear of the truth by analyzing the physical evidence at the scene, the trucking logs, the company policies and procedures on driving fleet training and a lot of other information. 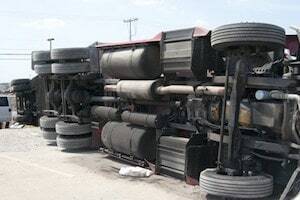 A good accident attorney can employ experts to determine if there is evidence of such as a lack of evidence of any braking just prior to impact, a violation of regulations regarding sleep, a failure to attempt to avoid the crash and many other indications of a sleepy truck driver. This makes it crucial to consult and retain an attorney familiar with California trucking accidents to have your best chance of finding maximum liability on the trucking company or independent truck driver.